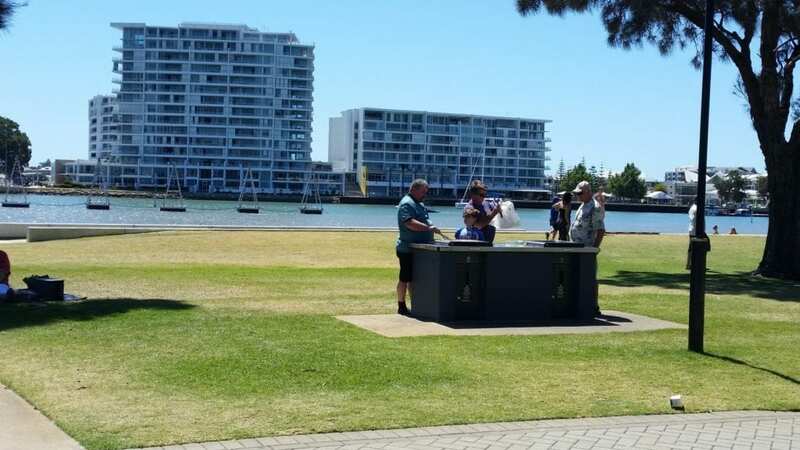 The City of Mandurah has done great work in the redevelopment of the eastern foreshore, it has reclaimed a small amount of water and put in a new retaining wall which has enabled them to greatly increase the grassed area, a walkway has been built along the water’s edge so you can stroll in comfort, this walkway continues along and under the bridge where some new fishing platforms have been built, you can also walk over the new bridge to the Western foreshore and enjoy some very nice views of the inlet. 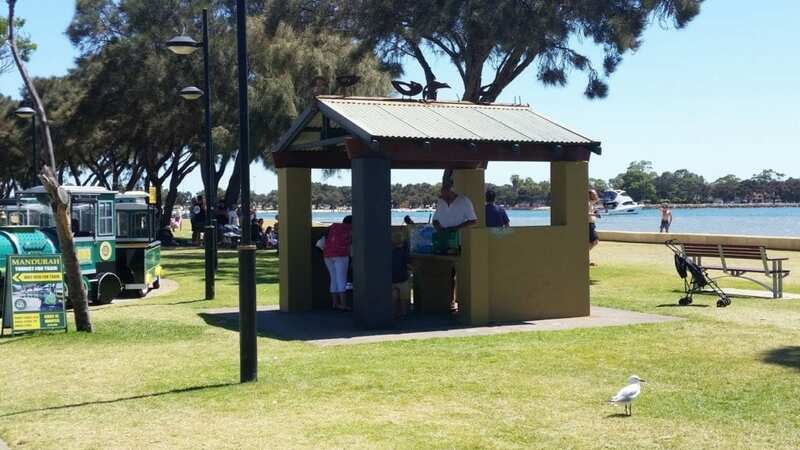 The grassed area is located between the Dome Cafe to the North and The Bay Cafe at the Southern end. 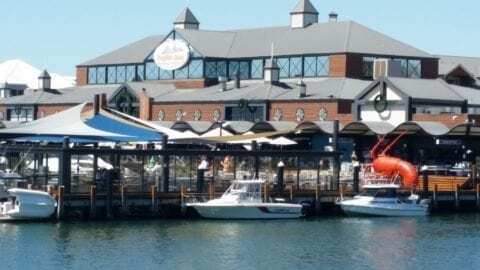 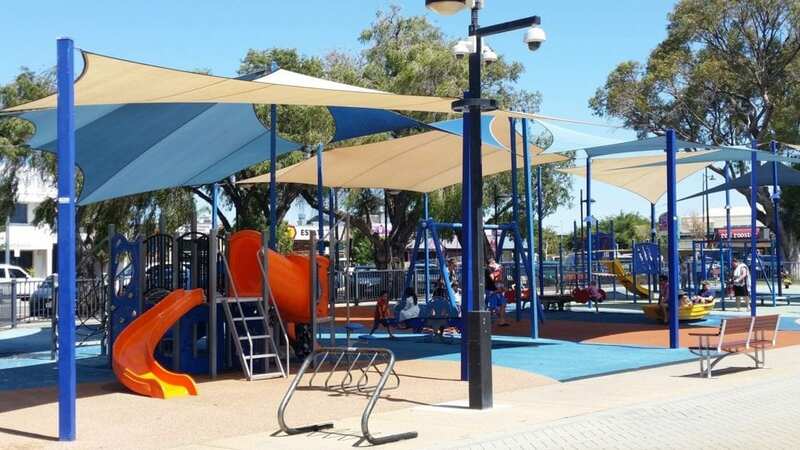 Sunday is the best day to come for a walk or picnic as there are approximately 30 small craft and eatery stalls to check out, live music and amusements for the kids, there is a large playground and all the area is well maintained and well grassed and plenty of shade trees. 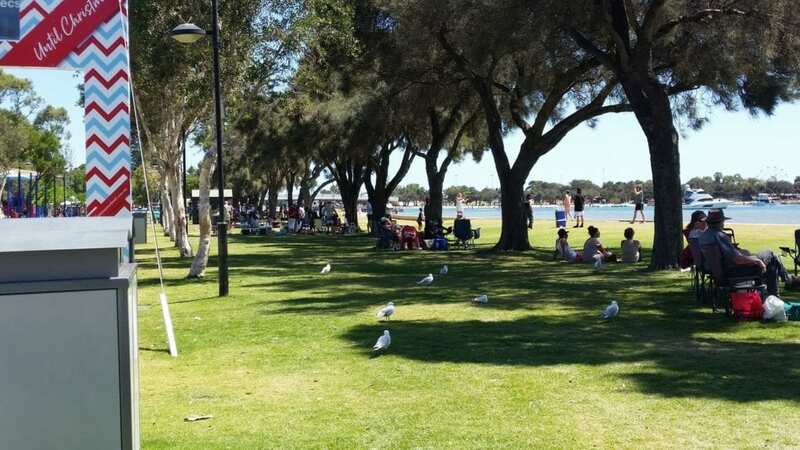 You will find plenty of seating and a couple of picnic shelters and BBQ’s, so bring a blanket, grab some fish and chips at Cicerello’s and come and enjoy the view, but don’t even think about feeding the seagulls! 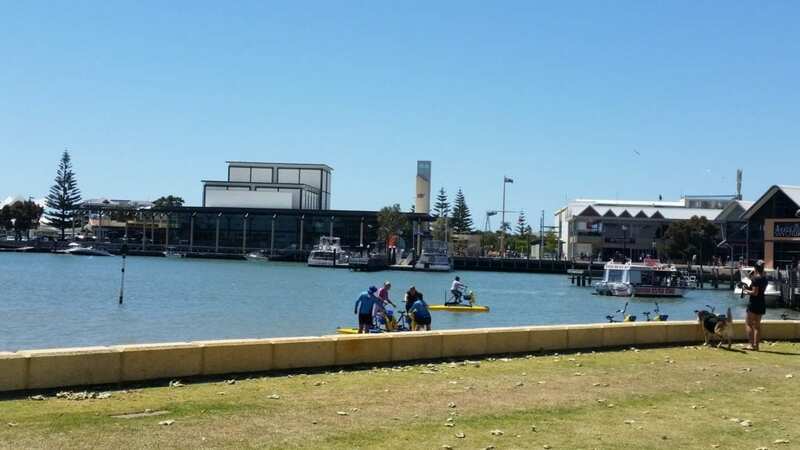 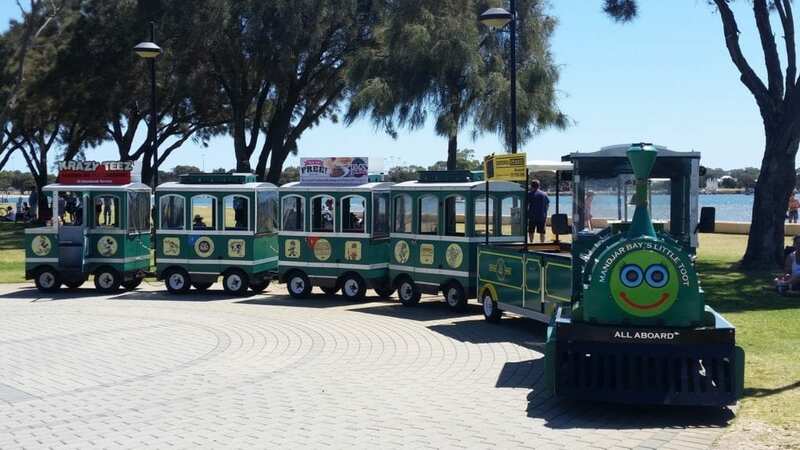 There are also two train rides called Big Toot and Little Toot, that leave from the foreshore Little Toot is really just for little kids and operates only on the Foreshore, Big Toot leaves from the foreshore near the Dome Cafe and does a 50 minute trip around Dolphin Quays, the Marina over the new Mandurah Bridge to the War Memorial with a historical commentary, the cost is $15 adults and $10 for seniors, children are free.